…it causes quite the stir. 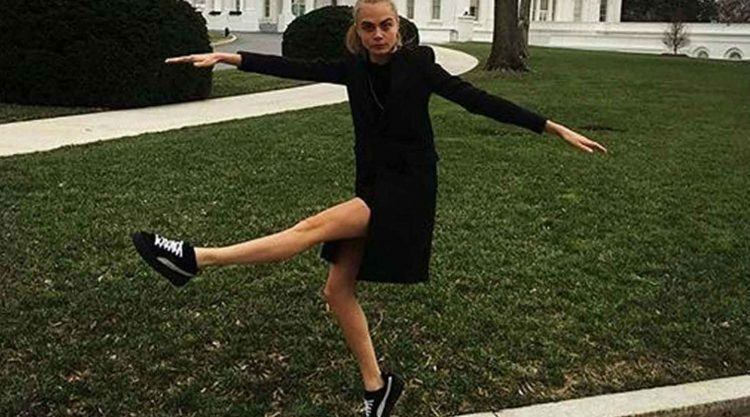 International model and actress Cara Delevingne paid a visit to President Obama’s offices in January, dressing up for the occasion in a black dress – and a pair of PUMA Creepers, which she’d been given by our Entertainment team last year. 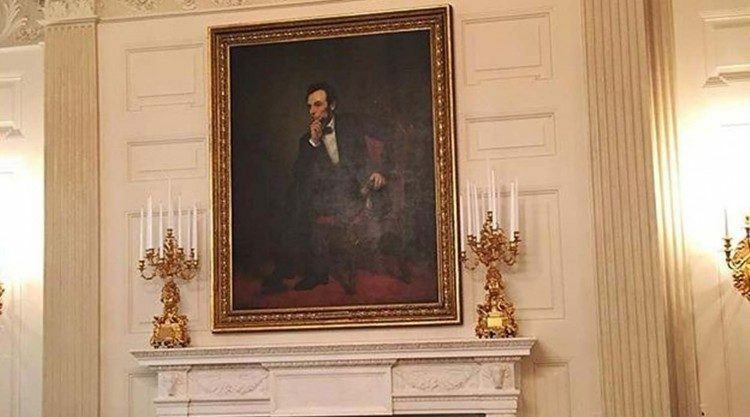 The 23-year-old documented her trip via her Instagram account, showing her posing in front of the White House or copying Abraham Lincoln’s pose from a portrait. Her images went around the world immediately, collecting over four million likes in less than twelve hours. The press was quick to follow, with the PUMA footwear clearly raising some eyebrows. Some, like Marissa Mitrovitch of fashion and politics blog Politiquette, told the Washington Post that in her opinion, sneakers are not appropriate footwear for a business meeting. Overall, however, the sentiment followed that of Vogue.com, praising the ensemble as “serious, yet still ready to strike a playful pose” in its leading article. The “Paper Towns” star’s 25.6 million Instagram and 4.62 million Twitter followers tend to agree with this – the lady has great taste! ... former President Abraham Lincoln. “It's hard to decide who won this White House visit: Delevingne or her pose-friendly Puma by Rihanna creepers." What does it smell like to “Cross the Line”? What a year 2016 has been!